Since the Airwalk latest model – Airwalk Evo hit our shores, it has been selling like hot cakes! The riders not only benefited from aerodynamic design of the frame, most added the aerospoke and rear 88mm carbon wheels to not only make it a smoother ride, it is a head-turner for sure when it hits the road! 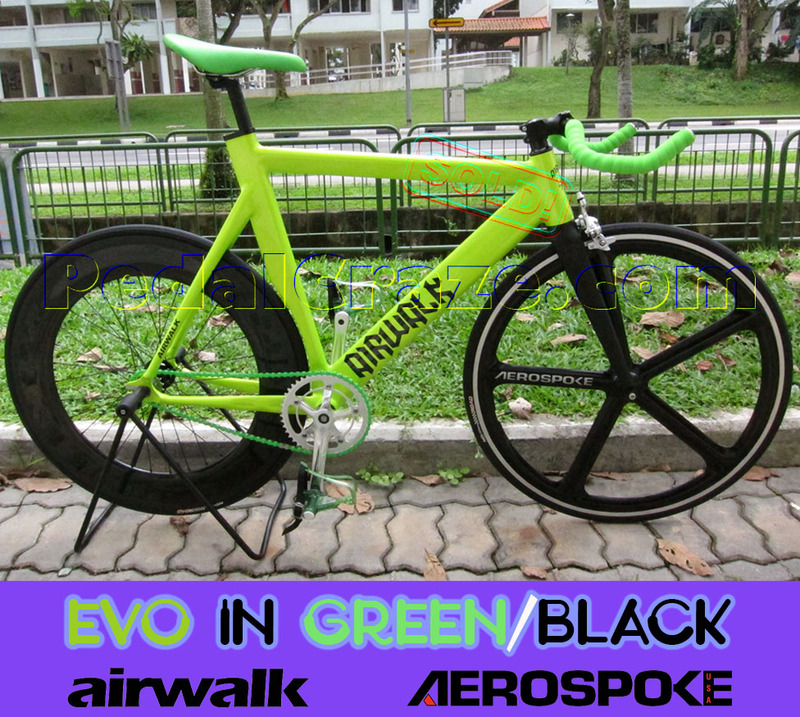 The Airwalk Evo comes in a sleek aerodynamic design and is made of CrMo 6061 alloy for both the frame and fork too! The weight of the frame is only 1.9kg! The Airwalk evo comes in various frame sizes; 50/53/56/59cm to cater to the rider’s height difference. 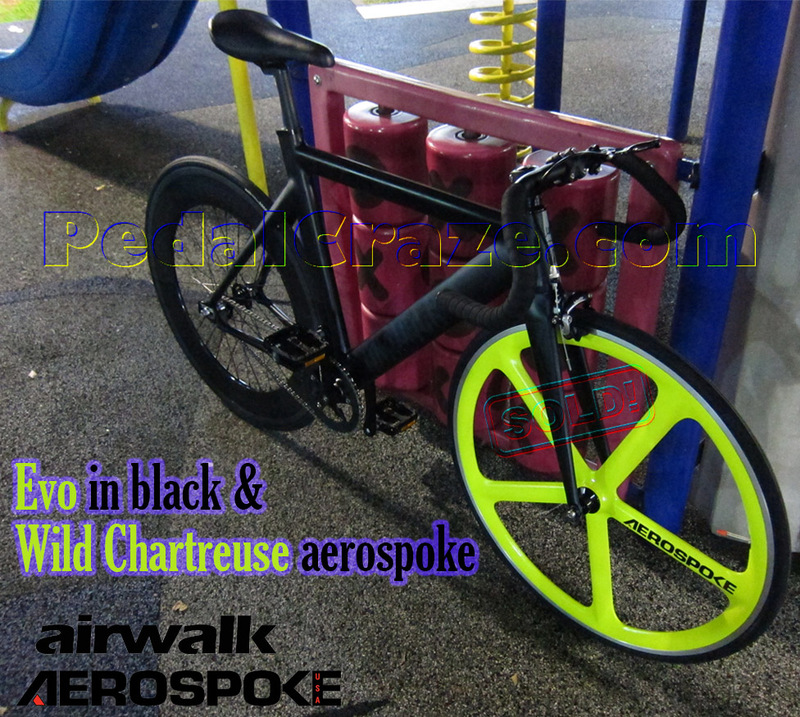 Comes feel the heat of the Airwalk and Aerospoke fever! 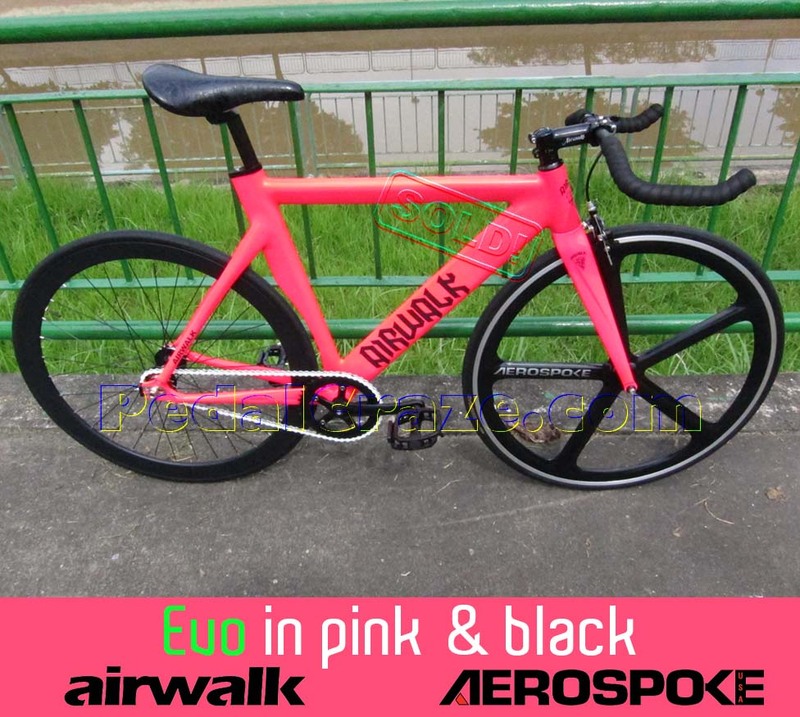 Check out our Pedal Craze website for more Airwalk fixies. “Like us” on to our facebook page for latest updates of fixies news and promotion!